A lot of attention is placed on the bride’s style when it comes to the wedding day. But we think the groom should also stand out with a signature look. Cummerbunds may come and go. But here to stay are the days of letting the groom stand out in a look all his own. Here are some of our favorite looks from real Nashville weddings at CJ’s Off the Square. We just love this bright blue suit, perfectly tailored for the groom and perfectly fitting for this spring garden wedding. A tuxedo is always is style! Our groom Sydney stands out in his white jacket while the rest of this groomsmen are rocking the classic black. This tan suit looks great for a garden wedding in any season. 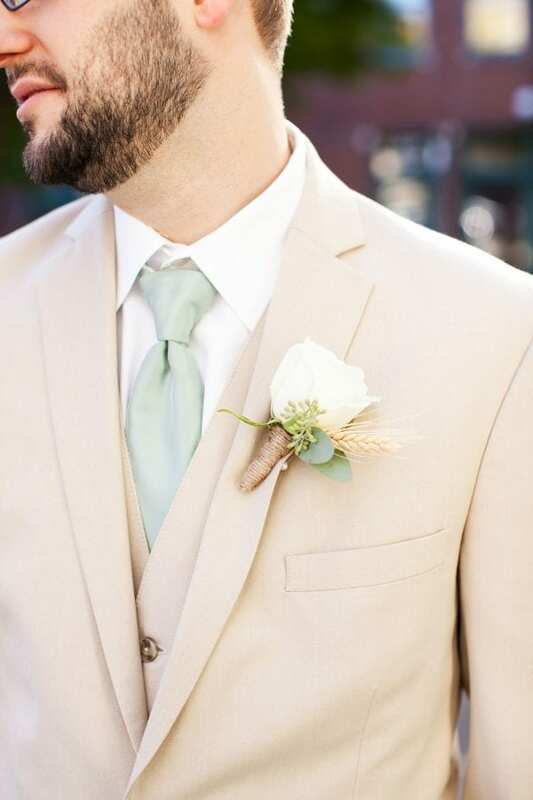 The neutral tone allows for a wide range of complimentary colors like this sage tie and crisp white rose boutonniere. Looking for more ideas? Check out our Groom’s Style page on Pinterest.